I found this book so different and refreshing! It really surprised me that these get shorter in length before getting longer again, but it’s actually just what I needed. Being able to speed through this one has given the series a new lease of life for me, and it’s introduced a new plot so well. Given the size of the book, the pacing is also really good. It was such a page-turner for me and I couldn’t stop reading. The ending was so tense and enjoyable! Each little twist and turn had me on the edge of my seat, waiting to see what would happen. I don’t want to include spoilers, so I’ll just say we meet a few new characters in this book that really elevated the story for me. I had so much fun finding out more about Simon, and he made a great focus for the book. However, I think without the introduction of these new characters, it could have fallen a little flat for me. Instead, I found it really interesting. I also have to mention that I’m really glad I read The Infernal Devices before these! I did regret it a little at the start of The Mortal Instruments because of the drop in writing standard, but now it’s made me so much closer to some of the minor characters, and I get so emotional whenever they’re mentioned! A few people have mentioned that this book is an ‘in-between’ story, and I do understand what they mean. It just focuses more on the characters themselves than the plot, but still with a good amount of action and plot twists for me. I actually really liked this and felt like it was needed, as I’ll go into the next 2 books feeling even closer to these beautiful characters. Overall, definitely loved this book! 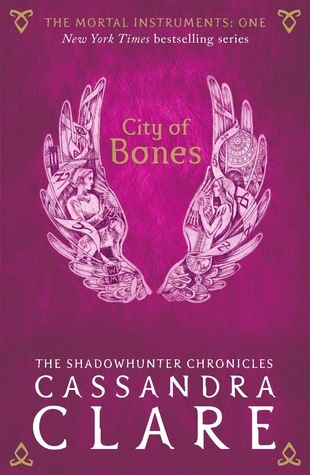 It’s probably my second favourite so far, because City of Glass is hard to beat. 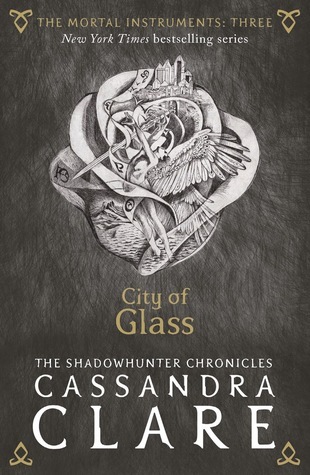 City of Glass is definitely my favourite book of The Mortal Instruments so far, and I finally started getting the same emotional feelings I did with The Infernal Devices! One of the best things for me was the writing. 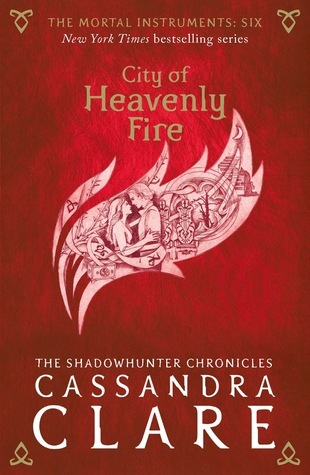 I love some of the quotes from this book, and just looking at them makes me realise how much Clare had developed as a writer by the time this book was published. After having adored The Infernal Devices so much, I feel like Clare is really coming into her own here. 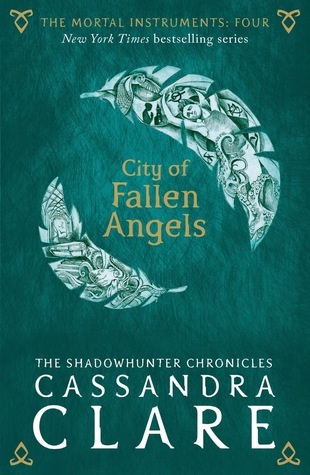 I can’t wait to see what Fallen Angels has to give! My favourite thing about this book honestly could be the setting. 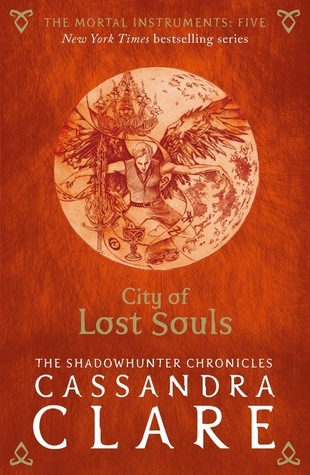 I loved reading about New York but setting City of Glass in Idris just took it to the next level. The world description was absolutely beautiful and is the perfect magical setting. All of the characters really develop in this one, and I loved reading about the ways they bounce off each other. I’ve always loved Clary as a protagonist, and seeing her become stronger and grow into such a headstrong young woman is brilliant. I love the differences in each character and they really have their own personalities. Of course with this book forcing everyone together we had even more people to focus on but it still worked! I’ve read a lot of bad reviews criticising the characters but let me tell you something. Sure, they’re flawed. No ones perfect, and they are HUMAN. We all have our flaws, make our own mistakes and deal with things differently. Writing good characters isn’t making them perfect. It’s making the reader be empathetic and sympathise with them, and forgive them for their mistakes. And maybe other readers just didn’t feel that, but I did. Anyway, let’s talk about the plot! Fast paced, and made the pages fly by once the plot really kicks in. The second part of the book was just glorious for me, and I sped through it. There are so many twists and turns and I was constantly shook. Even though I guessed some of the bigger plot twists, I still found it enjoyable to read and had other surprises along the way! 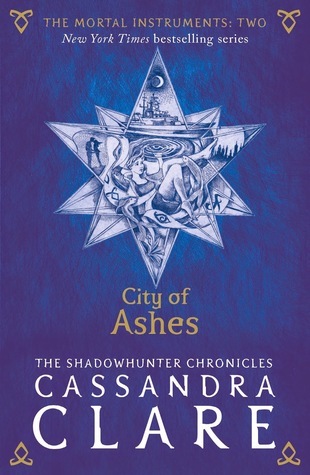 Overall, I want to finish off by saying that I’ve read enough YA to realise this book isn’t perfect, and neither is the series. Of course it could be said to be similar to other books, we’re all inspired by each other in this world and that’s okay. Clare’s writing isn’t always the best but is definitely improving. But personally, I loved it. It’s emotional, cheesy and flawed. But also fun, intriguing and beautiful. I’m so glad I gave this series a go, and I can’t wait to see what’s next. As this book is full of little stories, I’m going to review them all separately! This was such a fun read and it was perfect for the festive season. Let’s start this on a high! I’ve read this short story before and it’s honestly brilliant, 26 pages flies by with this year-by-year tale. It’s so simple but focuses on the characters which I adored, the ability to build characters in such a short amount of time is incredible. Perfect for New Year, as it’s set on New Year’s Eve hence the title! Honestly, this one really didn’t do it for me. The only real positive is that it did have a Christmassy feel, but otherwise it was downright confusing and a little weird. I’m all for a little weird, but I just didn’t know what was going on. At all. This story was so cute! I’m all for Christmas fantasy, but adorable festive contemporary romance is where its at. This story is one of Shy and the girl upstairs over Christmas, and it manages to not only be cute but be raw and honest and kind of beautiful in such a short amount of pages. This story was so overwhelmingly Christmassy! You can’t get much better than a story set in the North Pole for Christmas, surrounded by elves. I liked the protagonist, Natalie, who was the only human to ever live in the North Pole. It made such a unique story which was so fun to read! Perkins does it again! I remember this from Summer Days and Summer Nights – if anyone can write an amazing short, it’s Perkins. This story was unique, with likeable characters and a beautiful backdrop. I would read a whole book about these two happily. I always find levithan a little hit and miss, but I really enjoyed this story! It’s about a guy called Connor who asks his boyfriend to dress up as santa to keep Christmas magic alive for his little sister. It was a really cute contemporary with a cast of different characters who I enjoyed reading about, however I do feel like too many conversations with different characters were fitted into a very short story! I’m really not sure how to feel about this one. Build up a quirky contemporary with a group of friends and a New Year’s party on a trailer park, throw some drama in and then sprinkle it with magic. I think the magic was my main issue, because it just felt forced and like a last minute edition. It threw the story off kilter and threw me off too. Very weird. Contemporary romance definitely suits festive short stories better than contemporary and a weird mix of fantasy. I’m still holding out for a full on fantasy though? Anyway, Forman really brought out holiday cheer with carol singers and pie and a little twist with Hannukah which I loved! It’s the story of (surprise) Sophie Roth, a college student who isnt yet home for Christmas. Its about new discoveries and making mistakes, and although it wasn’t perfect, I damn well enjoyed it! I can’t say I disliked this story, it was Christmassy enough and enjoyable. But I just found it strange and I felt so disconnected to the characters! It followed a guy who had to do community service for a church at Christmas, which was an interesting concept but it just wasn’t all there for me! Yes! I didn’t think I would find another story to match Stephanie Perkins, but this one sure did. It follows the story of a girl who lives in Christmas, CA and their Christmas traditions. It was heartwarming, heartbreaking and heartfelt. All in 40 pages. Another story, another Christmassy town ! I really enjoyed this one too, although it lacked the depth that made me love Welcome to Christmas, CA so much. Still a unique and heartwarming tale of a girl trying to escape her life and ends up finding a family of her own. This was so weird?? I don’t even know what was going on? I stand by the fact that fantasy doesn’t work as well as contemporary in these kinds of situations usually – world building just isn’t possible in 30 pages. I didn’t properly understand the world or the story, therefore I didn’t enjoy it. The pages were used to explain the town rather than the characters, and I related only to the protagonist. It didn’t feel Christmassy either! It did have a satisfying ending, however. Overall, I really enjoyed this book and it was perfect to start the New Year with. Although the stories are very mixed, it’s great to give new authors a chance with books like this one. Sure, I didn’t enjoy a few but that’s bound to happen. And I loved a number of stories enough to rate this book highly! I’ll definitely be giving some of these a re-read next Christmas.